R.I. 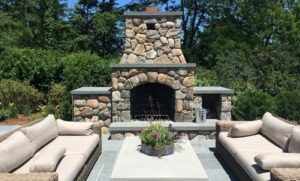 Pools, Inc. not only builds pools but can build your patio, water fall, fire pit, custom bbq, walkway, driveway, stone wall and much more! R.I. Pools, Inc. wants to help you make your backyard dreams come true and make the end result a special haven for you and your family for years to come! Locally Owned & Operated, With the Company Owner on Every Job Site! R.I. Pools, Inc. helps create a beautiful atmosphere around your pool that will take your visions, needs, budget and property into consideration. R.I. Pools, Inc. wants to help you make your backyard dreams come true and make the end result a special haven for you and your family to enjoy for years to come! It’s our goal to build trusted, long term relationships by providing professional quality craftsmanship and a true dedication to each of our client’s personal needs and goals. 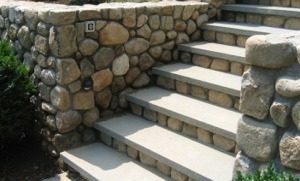 With Hundreds of projects in our portfolio ranging from full-service pool design and installations, to outdoor kitchens & living spaces, stone walls, patios, walkways, and excavation, we have an established client roster that speaks to the quality craftsmanship and competitive pricing we deliver on every project. We service the following and surrounding towns in Fairfield County; Greenwich, Stamford, Darien, Westport, New Canaan, Ridgefield, Weston, Wilton, Fairfield, Norwalk, East, Weston, as well as all areas of Connecticut. 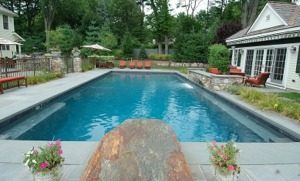 We have years of experience constructing pools and apply it to each pool we build. From our steel, to the gravel, right up to the pool water we use, we make sure it is the best quality for our customers. R.I. Pools not only builds pools but can build your patio, water fall, fire pit, custom bbq, walkway, driveway, stone wall and much more! We can also help with whatever masonry repairs you may need. R.I. Pools wants to help you make your backyard dreams come true and make the end result a special haven for you and your family for years to come by using high quality materials and craftmaship! R.I. Pools does outstanding masonry work. They exhibit a high attention to detail and will do the job right. Good attention to detail. Tell them what you want and they will make sure it is done properly. We have used R.I. Masonry for pool and patio work for the past 15 years and have not been disappointed. 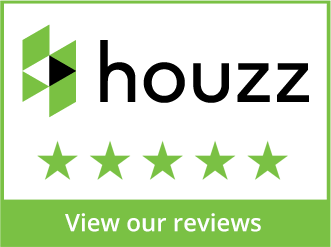 Professional, helpful, and efficient, I was very pleased with the work done at my home. I was especially appreciative that they went the extra mile to find limestone tile that matched tile I had placed 18 years prior. That was an incredible savings and relief to me. I definitely think this family takes pride in their business and it shows in their work. R.I. Pools, Inc. helps create a beautiful atmosphere around your pool that will take your visions, needs, budget and property into consideration. R.I. Pools, Inc. wants to help you make your backyard dreams come true and make the end result a special haven for you and your family for years to come! You can contact us today to schedule your no-cost estimate and consultation!